Recombinant full length protein within Human PD-L1. The exact sequence is proprietary. Note: Tonsil Specimens- is recommended to screen several hyper-reactive tonsils to find those with highest expression of PD-L1 in crypt epithelium, macrophages homing the germinal centers and interfollicular mononuclear leukocytes. For primary negative control, isotype control, RabMAb negative control antibody (ab172730) is recommended. For negative control sample, cell line COLO205 is recommended. For recommended Western Blotting (WB) protocol, please refer to the protocol book (line 3) in the protocol section. Our Abpromise guarantee covers the use of ab209889 in the following tested applications. WB Use at an assay dependent concentration. Detects a band of approximately 33-43 kDa (predicted molecular weight: 33 kDa). Please check the parent abID, ab205921, for more information on dilutions. 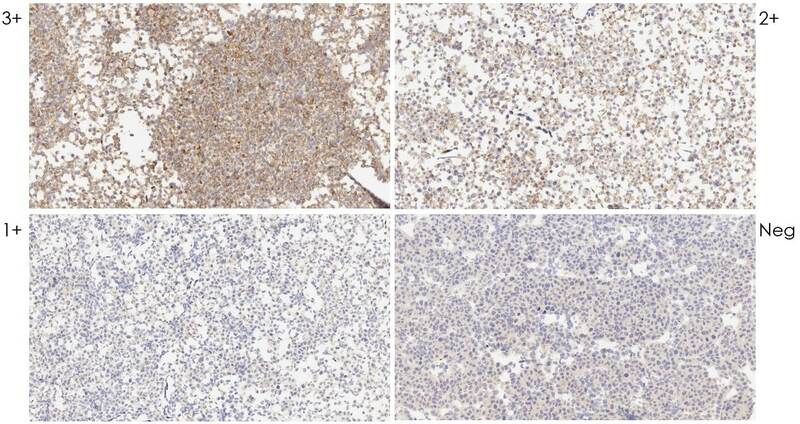 Immunohistochemistry (Formalin/PFA-fixed paraffin-embedded sections) - Anti-PD-L1 antibody [28-8] - Low endotoxin, Azide free (ab209889)Image from Nakamura S HL et al., PLoS One. 2017;12(10):e0186192 Fig 3.; doi: 10.1371/journal.pone.0186192. This data was developed using the same antibody clone in a different buffer formulation containing PBS, BSA, glycerol, and sodium azide (ab205921). Immunohistochemistry (Formalin/PFA-fixed paraffin-embedded sections) - Anti-PD-L1 antibody [28-8] - Low endotoxin, Azide free (ab209889)This image is courtesy of an Abreview submitted by Mr. Rudolf Jung. Immunocytochemistry/ Immunofluorescence - Anti-PD-L1 antibody [28-8] - Low endotoxin, Azide free (ab209889)This image is courtesy of an Abreview submitted by Dr. Dimitra Kalamida. 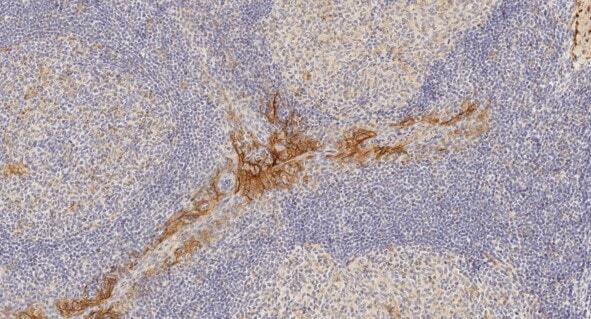 This IHC data was generated using the same anti-PDL1 antibody clone, 28-8, in a different buffer formulation (cat# ab205921). ab209889 has not yet been referenced specifically in any publications. Publishing research using ab209889? Please let us know so that we can cite the reference in this datasheet. There are currently no Customer reviews or Questions for ab209889.